E3 – "On Game Design"
Man, June has been a crazy month. I got sick, started a podcast, went to E3, cleaned up a horrible virus that infected my server and took down all my websites, and generally have just been REALLY REALLY busy. One thing I haven’t done yet in the month of June, though, is make any posts about Project Bacon! Until today, the phrase “game with toy tie-in” would have sent me running in the other direction. Especially if a publisher as avaricious as Activision were involved. 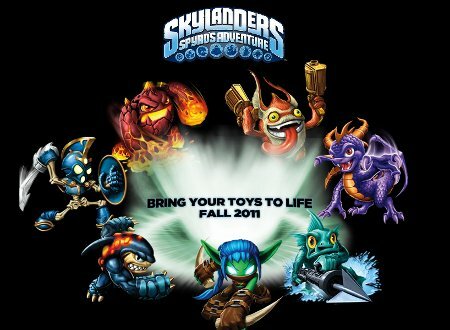 Having played Skylanders, however, its clear that they’ve come up with a product that would have thrown eight-year-old me into paroxysms of joy. Discussing the game’s potential with my colleagues, I decided that I learned a valuable lesson today: Things that appear evil aren’t always actually evil. Alas, E3… we hardly new ye. As everyone knows by now, the E3 expo — that bastion of consumerism, the light that shone for all our industry to see — as of last year was no more. I bring this up merely because this is the week that, in yesteryear, it would be held.